Death Wish Coffee, dubbed “the world’s strongest coffee,” claims to have 200% more caffeine than “your typical coffee shop coffee.” Death Wish is an organic, fair trade, medium-dark roast, and is sold in both ground and whole bean varieties. This is not your regular morning coffee. This is not your store bought coffee. You will not find this coffee at your local diner or at your sissy ‘Starbucks. 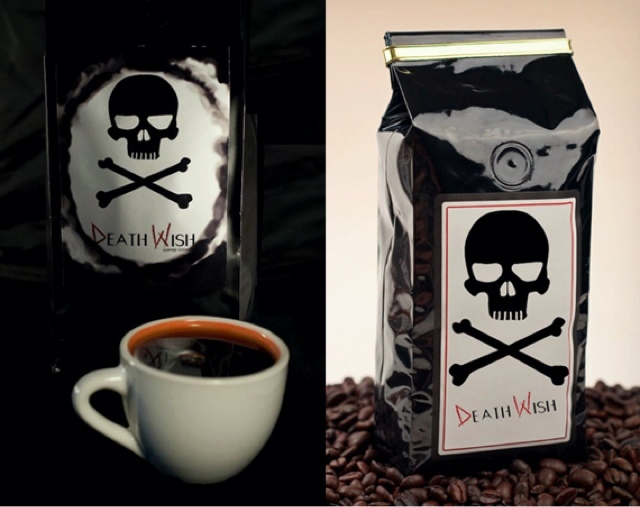 Death Wish Coffee is the most highly caffeinated premium dark roast organic coffee in the world. This is Extreme Coffee, not for the weak. Consider yourself Warned.